Through group discussion of student work, plus that of published authors, writers in this workshop will examine the art and craft of creative nonfiction. The focus will be on learning to understand and use a full range of literary techniques in order to tell a truly compelling nonfiction story. Topics such as the use of dialogue, the creation of scene, attention to style and how to craft structure from true events will be discussed. Participants will also spend time talking about the particular responsibilities that come with writing creative nonfiction. In-class writing prompts will be used to inspire and motivate students to produce new work. This workshop is open to writers working on memoir, personal essays or in-depth journalism. 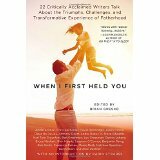 Brian Gresko is the editor of When I First Held You: 22 Critically Acclaimed Writers Talk About the Triumphs, Challenges, and Transformative Experience of Fatherhood. His short fiction has appeared on Joyland Magazine and Vol. 1 Brooklyn, and his essays, interviews, and criticism have appeared in numerous publications, including Salon, The Atlantic, VICE, Guernica Magazine, the Literary Hub, the Los Angeles Review of Books, The Brooklyn Rail, and Poets & Writers Magazine. He runs the “authors in conversation” series for Slice Literary Magazine, and is the co-host of Pete’s Reading Series. 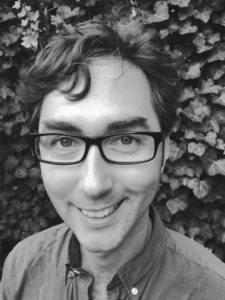 Brian received his MFA in Creative Writing from The New School, and studied film and literary theory at Oberlin College.